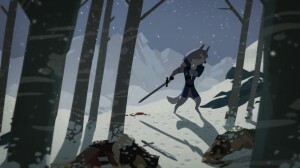 Jonathan Luna is best known for hooking up with his brother Joshua Luna to create well-known comic book series like The Sword and Ultra. 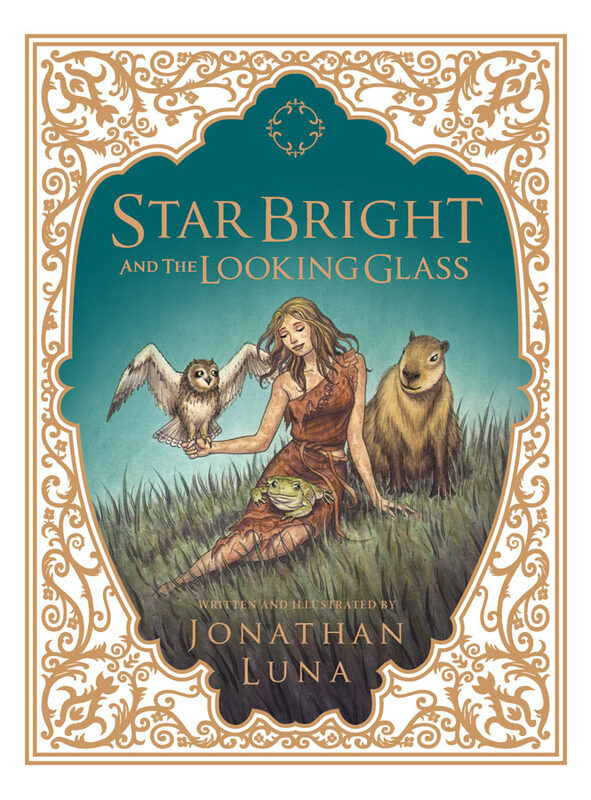 Now Jonathan has gone out on his own to create a hardcover illustrated book for young readers, Star Bright and the Looking Glass. “When Star Bright, a forest maiden, encounters an evil sorceress who steals her beauty and youth, she must embark on a dangerous journey with her animal friends — Toad, Owl, and Capybara — to retrieve it.” Look for this new book from Image Comics in early December, or you can pre-order it from Barnes & Noble. Contropussy is… well it’s hard to explain right off. 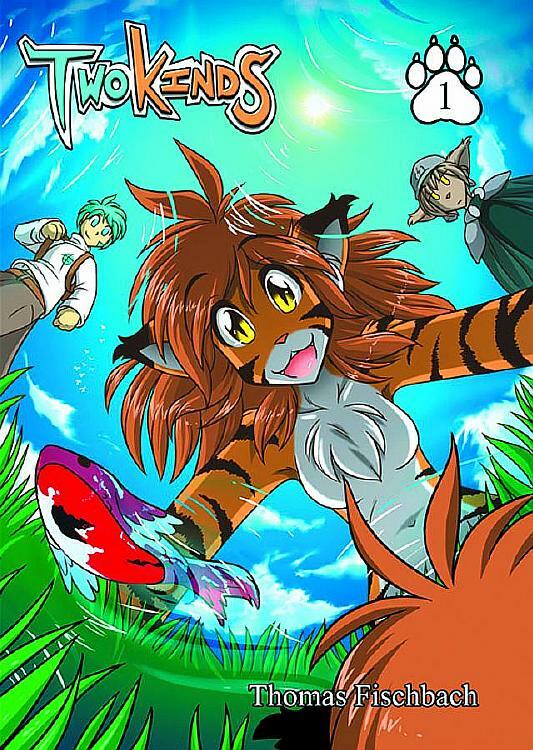 It’s a web comic, we know that much, co-written by actress Emma Caulfield (Buffy the Vampire Slayer) and Camilla Rantsen, with art by Christian Meesey and Thomas Mauer. And now it’s an upcoming trade paperback collection from IDW Publishing. “By day, Contropussy is an ordinary house cat, but at night she comes alive and searches for excitement in the world outside. 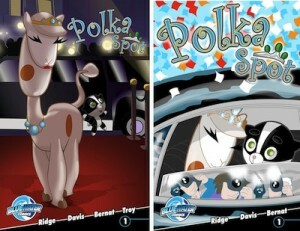 In this installment Contropussy has a wild night out. 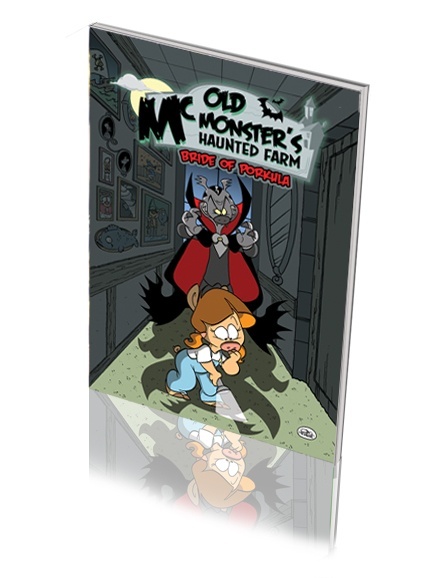 The next day, however, she must save her friend from Evil Rabbit and her minions!” IDW should have this full-color collection out in November. Meanwhile, Pink Ray Gun has an in-depth look at the story of the web comic. 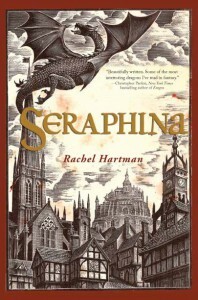 Here’s something new that hit the shelves this summer: Seraphina, the debut novel by Rachel Hartman. Here’s the description from Amazon: “Four decades of peace have done little to ease the mistrust between humans and dragons in the kingdom of Goredd. Folding themselves into human shape, dragons attend court as ambassadors, and lend their rational, mathematical minds to universities as scholars and teachers. As the treaty’s anniversary draws near, however, tensions are high. Seraphina Dombegh has reason to fear both sides. An unusually gifted musician, she joins the court just as a member of the royal family is murdered—in suspiciously draconian fashion. Seraphina is drawn into the investigation, partnering with the captain of the Queen’s Guard, the dangerously perceptive Prince Lucian Kiggs. While they begin to uncover hints of a sinister plot to destroy the peace, Seraphina struggles to protect her own secret, the secret behind her musical gift, one so terrible that its discovery could mean her very life.” Seraphina is available in hardcover from Random House. The 80’s… They Haunt Us!